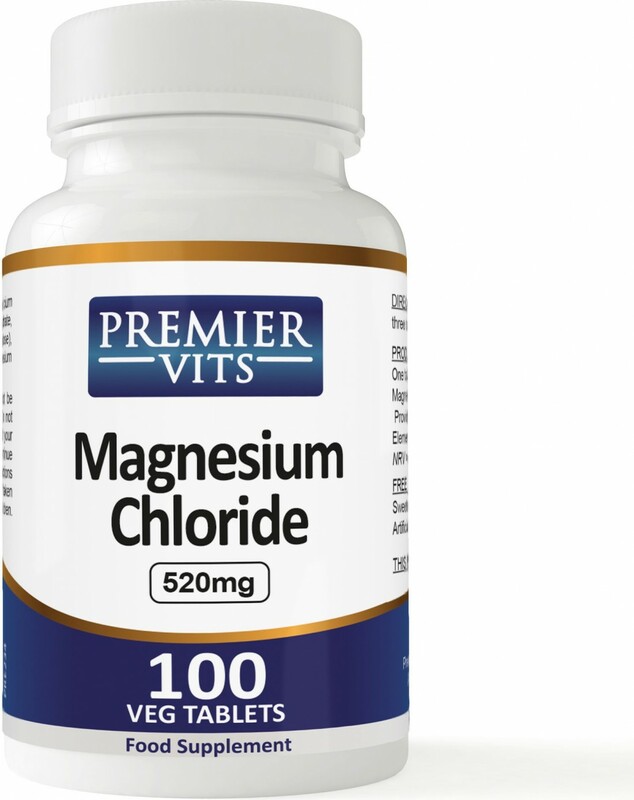 Magnesium Chloride is a simple form of magnesium that is readily absorbed. Magnesium is an essential nutrient that is inadequate in many diets. Research has shown that magnesium is important in production of energy, and in the function and integrity of muscles, nerves, kidneys, bones, heart and arteries. Using daily magnesium chloride, chemical balance is produced in the body, which is obtained by chemical means in the human body, also known as electrolysis. The use of magnesium chloride can help you expel uric acid from the body, which can cause problems and pain in the joints. Health benefits of magnesium chloride: reduce weight, increases energy, increases libido, reduces depression, prevent colds and flu, helps fight central nervous system diseases, protects against osteoporosis, improves digestion, protects the blood vessels. Bulking Agent (Dicalcium Phosphate), Magnesium Chloride Hexahydrate, Bulking Agent (Microcrystalline Cellulose), Anti-caking Agents (Stearic Acid, Magnesium Stearate, Silicon Dioxide).